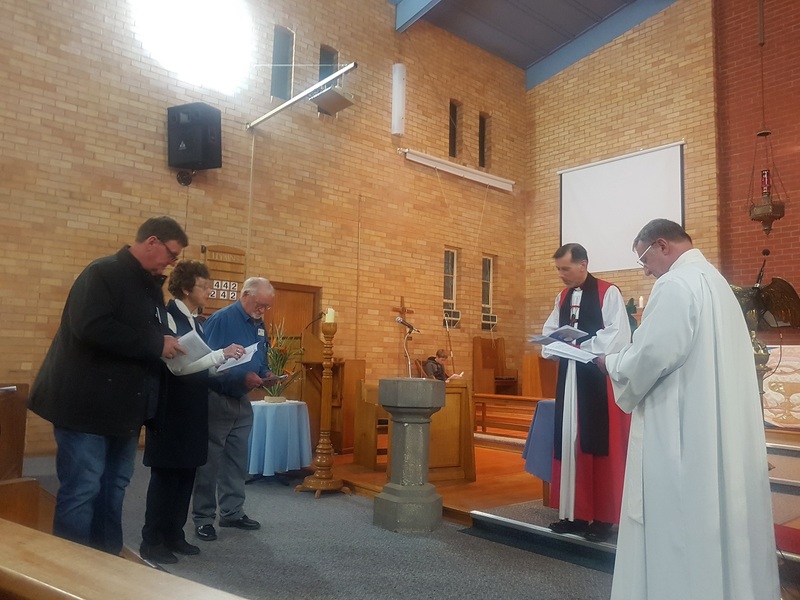 Our new Rector Peter Blundell and his wife Jeannette have hit the ground running since Peter’s Induction last Friday evening into the Anglican Parish of Christ Church. 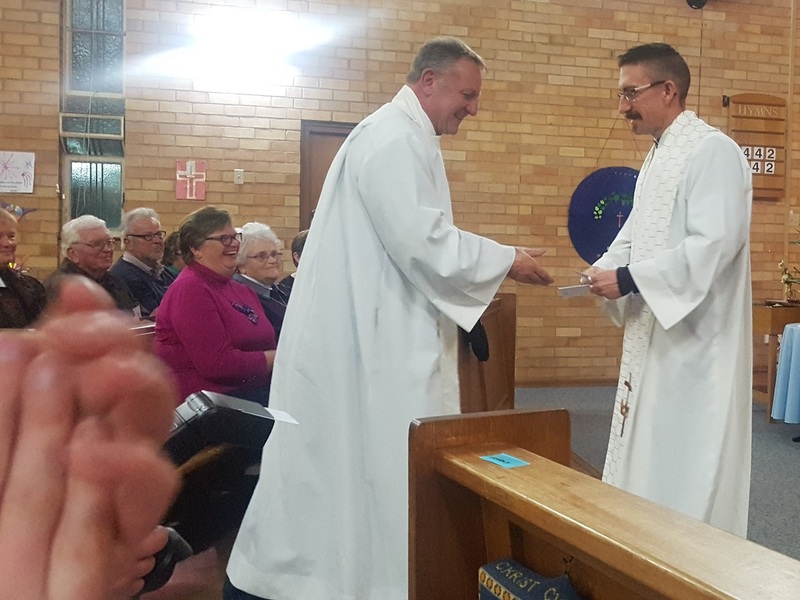 A large attendance of visiting clergy included local representatives from the Roman Catholic and Uniting Church, and Swan Hill’s Mayor, Councillor Les Mc Phee, all extending a warm welcome together with the church family. Peter celebrated the Eucharist at Alcheringa on Saturday , taking time afterwards to greet each resident. 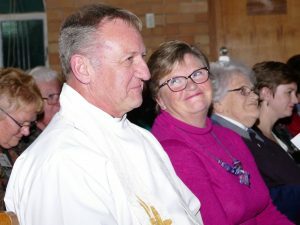 On Sunday he thanked Denis and Helen for their interim ministry before they left for a well -deserved holiday. Tuesday brought Wardens’ and Parish Council meetings, and planning with the music group. Wednesday brought him to the 10 am service and an opportunity to meet at lunch with the WAG weekly activities group. 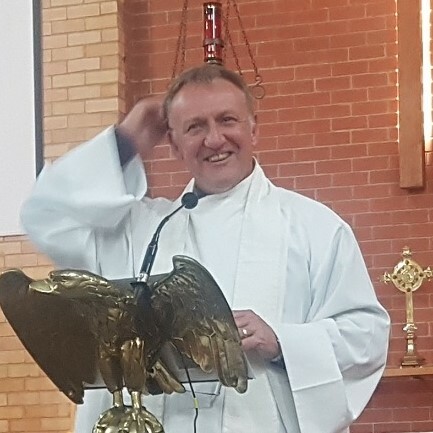 Tomorrow he will witness the monthly Craft and Boot Sale, and hopefully enjoy some rest before Sunday 9.30am and 5.00pm, when Don and Declan will host Café Church in the Foyer. Hi Robin, Good to hear from you. I have moved to St Arnaud. I am still working on the website in Swan Hill and here in St Arnaud. God bless.